We do have a few pups for sale at this time out of two different litters. You can contact us through our website info. We are only about 15 miles from Purvis. Thanks for your intrest, we would be happy for you to come visit us. I am looking for a blockhead chocolate lab male puppy, I was just wondering what you have or will have available soon, and pricing along with bloodline information. If you could email me this information I would appreciate it. 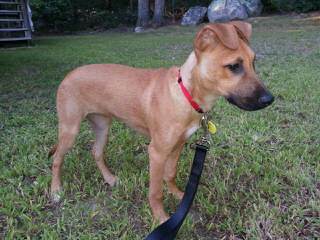 i live in louisiana and was looking to adopt a blackmouth cur and i was woundering if you had any puppies.